Hiring and dealing with the subcontractors you choose are among the most important aspects of building a house yourself. But don’t let the fact that you’re new to this deter you from building a house yourself. Your experience with subs will be a lot easier because I’m letting you know what to expect. And when you combine that help with your own common sense, there’s no reason that you can’t have an overall good experience with your subcontractors. Subcontractors in the house building trades are in some ways like any other group of professionals. Some are better than others. Some are easy to work with, some are more difficult. There can be a wide range of levels of their quality of work and the promptness with which they do it. 1. He must present to you a copy of a current contractor’s license, issued by the same government entity that issued your building permit. 2. 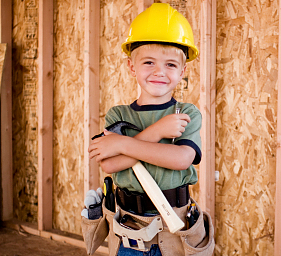 He must present to you a current copy of his certificate of contractor’s general liability insurance. Check with your building inspection office to see if they also require workman’s compensation insurance. If so, get a copy of the certificate. 3. Ask for references. Call them. References from other states don’t count. If the sub hasn’t established local references that will vouch for him, hire someone else. 4. Have a written contract. Verbal agreements are invitations to trouble. 5. No license, no insurance, no references, no contract, equals no hire. No exceptions.